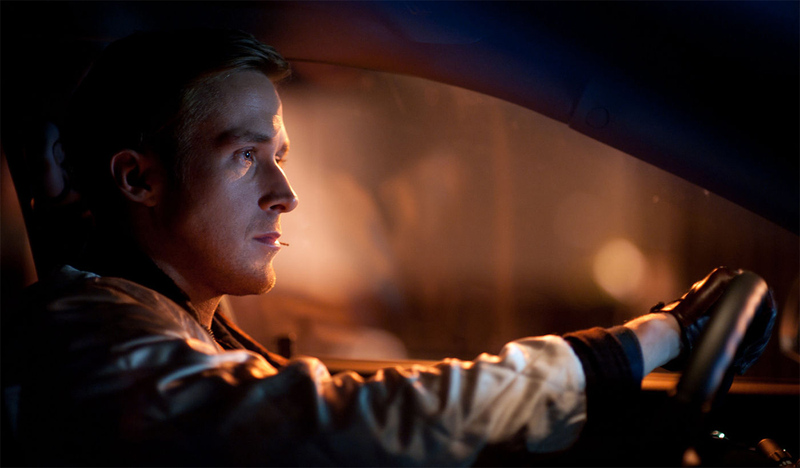 Director Nicolas Winding Refn has described his film Drive as a ‘neon-noir’ fairytale. Within the opening scenes of pumping retro synth pop and hot pink credits against an awesome birds eyes view of the bright city lights of LA at night its hard to disagree. Drive is not your typical action film; in fact it is hard to describe it as an action film at all. Danish director Winding Refn’s ultra stylised attempt at American pulpy noir might not appeal to Fast and The Furious fans but it might just be the coolest film of 2011, even if it is trying really hard to be. Ryan Gosling stars as the nameless and mostly silent ‘Driver’, a Hollywood stunt man who moonlights as a getaway driver in the Los Angeles criminal underworld. His mantra for the crimes he is involved with is simple, he isn’t involved in the planning and he doesn’t carry a gun, he drives. His entire life it seems is just as low key and meticulously planned. That is until he becomes attached to his married next-door neighbor Irene, played by a gorgeous Carey Mulligan. Which causes his shadowy existence to unravel as he becomes mixed up with local criminals like Bernie Rose, a menacing Albert Brooks, and becomes embroiled in the criminal underworld that he had tried desperately to stay on the fringe of. Drive is like nothing else audiences have seen this year. In the first half Refn creates a tense and gripping neo-noir atmosphere that threatens boiling point. When he finally pulls the trigger in the second half Drive becomes an ultra violent thriller that will be unsettling to some but which never loses the style or character that made the first half work so well. The mood and lighting created by Refn and cinematographer Newton Thomas Sigel is just as impressive as the vivid neon Los Angeles they depict. Every shot seems as meticulously planned out as the Driver’s mantra, whether it be the street lights bouncing off of Gosling’s face or the subtle change of lighting during dialogue, the cinematography will be as memorable to some as the scenes it frames. Star making vehicles don’t come around very often for actors these days but if there was any doubt about Gosling’s star quality Drive will surely put them to bed and skyrocket him to where he belongs. Gosling, as the very old fashioned strong silent hero with no name barely says a word throughout the entire running time. Yet he conveys menace, innocence and vulnerability just through his face, a face that women and men will be equally swooning over as the credits roll. Driver is not a new character type by any stretch of the imagination, the strong silent protagonist is as old as film but Gosling is just engaging and pretty enough to keep the audience hooked until the end. Albert Brooks is equally good as the vicious Bernie; he maintains a dominant presence the moment he is seen on screen. 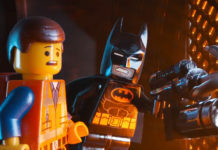 Every scene benefits from his intimidating involvement and just as Drive should propel Gosling so to should it reintroduce modern audiences to Brooks as more than Nemo’s dad from Finding Nemo. Carey Mulligan’s Irene on the other hand is grossly underdeveloped and is never more than window dressing, but that is hardly something audiences will notice once the second act hits full throttle. Drive is not without its flaws, its ultra stylised nature and 80’s saturation will annoy some and Carey Mulligan’s Irene is underdeveloped and doesn’t do much. However, thanks to its great cast, beautiful cinematography and masterful direction Drive is an incredibly enjoyable retro noir with enough action and arthouse for cinephiles and Vin Diesalphiles alike.